San Diego Contract Disputes Attorney is dedicated to protecting victims of nonperformance or breach of contract in San Diego, California. Do not wait to call us at 619-236-9696 for a free consultation. The most common contract dispute arises when there has been a breach of contract by one of the parties to the contract. 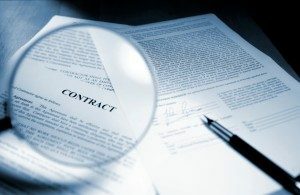 A breach of contract can arise when one or more of the parties to the contract does not fulfill or acts in contradiction of the terms of the contract. The lawyers at Simpson Law Group, provide experienced representation for parties who have been harmed by a breach of contract. When a breach of contract occurs the nonperforming or improperly performing party may be liable for damages to the other party. If you feel you’ve been the victim of nonperformance or breach of contract, contact Simpson Law Group for a free case evaluation.